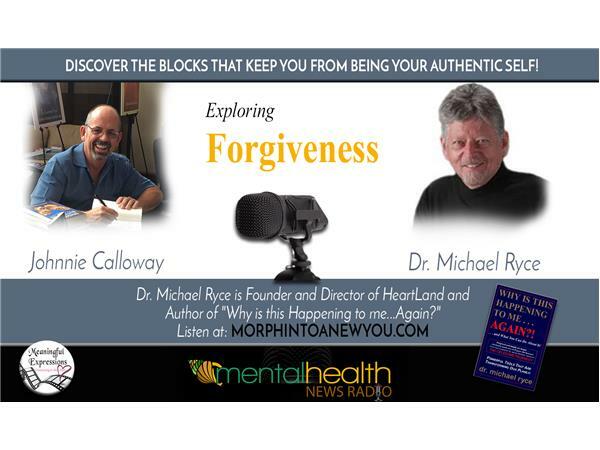 Listen to Johnnie and Dr. Michael going deep about forgiveness. Learn more about BEING LOVE in the presence of those you are working to forgive. When you can remove the pain, you can get back to the essence of you! It's about replacing the content of your own mind or your own story with love. Dr. Michael Ryce is the founder and director of HeartLand, a self-healing center in the Ozark mountains. He is a world renowned lecturer and teacher on health and healing, with doctorates in Naturopathic Medicine and in Holistic Philosophy. The focus of his studies has combined bodymind principles, physics and ancient Aramaic studies into a unique body of pioneering work in the fields of self-healing, healing through relationships, anger and grief resolution, world peace and the inner process of Forgiveness. His book, Why Is This Happening To Me . . . Again? !, is an international best seller. Learn more - Why is this happening to me.... Again? ?